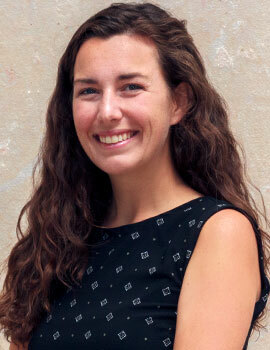 Aprille Knox is a Senior Policy Associate at J-PAL Global, where she supports the Crime, Violence, and Conflict sector. As a member of the Policy group, Aprille works with governments, NGOs, academics, and others to build research partnerships and promote evidence-informed policymaking. Prior to joining in 2017, Aprille worked as a Graduate Research Assistant for Innovations for Poverty Action (IPA) in Monrovia, Liberia, developing evaluation materials and training enumerators for a variety of randomized evaluations. Aprille also worked as a member of the governance team at Results for Development (R4D) and served as a Public Health Educator with the United States Peace Corps in Guinea. Aprille holds a master's degree in Global Affairs from Yale University's Jackson Institute for Global Affairs and a BA in International Studies from Boston College.